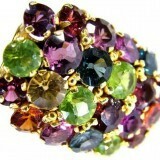 The use of birthstone jewelry dates back to ancient times, and is still loved and used to this day. The earliest record is in the book of Exodus with the Breastplate of Aaron, which contained the 12 gemstones representing the twelve tribes of Israel. Through time, people have desired the physical appearance of wearing jewelry, especially when they can bear more meaning to the wearer such as birthstone jewelry. The birthstone meaning can be from physical and metaphysical ways which can exert a therapeutic effect on the wearer. This article helps explain more of these benefits. Birthstone jewelry make an ideal personal gift to someone special. 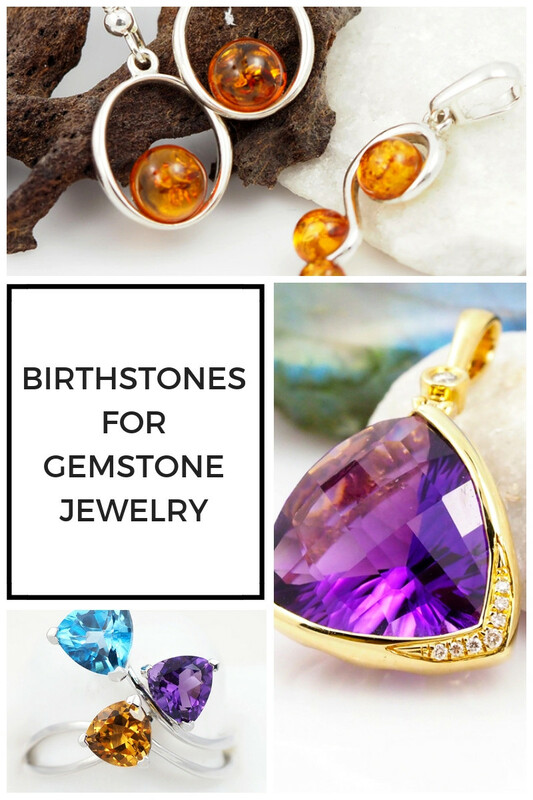 When choosing your birthstone jewelry, it can be meaningful to know all aspects of the stone and its history. 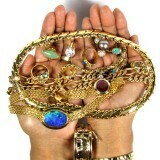 It can also be helpful to know the different types of jewelry that it can be set in. Garnet is one of the leading families of gemstones and available in almost every color. Some varieties include: Almandite (shady red, rosy-orange, purplish-red), Andradite which consist of Demantoid (light to shady green), Grossularite compromises with Tsavorite (deep green to yellow-green), and many more. The red style are usually considered as January’s gemstone birthstone. In addition to, Garnet pendants are said to have healing powers. Sources: Africa, Argentina, Australia, Brazil, India, Scotland, South Africa, Switzerland, Pakistan, and USA. Amethyst is available in the plum color of crystalline quartz. Quartz is most likely the richest mineral in the Earth. Most Amethysts are originated in alluvial minerals or in geodes. Amethyst geodes are available in all ranges and shapes are often acquired for home ornament. 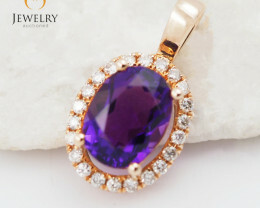 Amethyst can be discovered from small to large sizes as well as, different shades of lilac. Sources: Brazil, Canada, India, Japan, Madagascar, Mexico, Russia, South Africa, Russia, and USA. Aquamarine is the most vastly prized stone from the Beryl family. 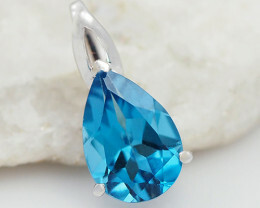 Aquamarine was also considered to provide the user the forethought, valor, and joy, ease nervousness and enhance intelligence and make the individual a younger one. As an outcome, truly fine aquamarine pendants are rare and seen in most jewelry stores as well as, the finest material of all time. Sources: Afghanistan, Brazil, India, Pakistan, Russia, and USA. Bloodstone is also referred as “heliotrope”, as one of the several classes of microcrystalline quartz or Chalcedony. Bloodstone is naturally semi-translucent to solid dark green with red to brown-red spots that usually resemble drops of blood. In fact, the red spots are the product of iron oxide. 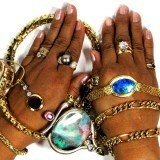 It is more often, which can be found in rings and men’s ornaments in rings, tie-tacks, and cuff links. During the middle ages, the red spots in Bloodstone were considered to be the blood of Jesus Christ that provides special powers. During ancient times, Bloodstone was believed to be able to prevent hemorrhages. Sources: Australia, Brazil, China, India and USA. Diamond is the stone that made of a particular element, the pure carbon. It is also known as the hardest natural material well-known by man. The significant properties of such stone are resistance, dispersion and intensity and influenced the principle that Diamond was effective medicine, which provides good health, power and long life. Moreover, Diamond jewelry is certainly the best well-known gem. Its history is so long and intricate that symbolizes that its beginning is covered in antiquity. Diamonds were traded, mostly in India during the 400 BC. One of the Indian false notions was that Diamonds had the control to make the human an invincible one. As Diamond represented the perpetuity of love, the ring symbolized the circle of life, pleasure and love that has no beginning or ending. During the 15th century, the diamond rings were considered as the traditional gifts of undying love as well as, passionate lovers. Sources: Africa, Australia, Brazil, Canada, China, India, Russia, South Africa. Emerald is aberyl like Aquamarine. Sources: Austria, Australia, Brazil, India, Norway, South Africa, Russia, and USA. Alexandrite is considered as a rare and priceless stone. Its displays a typical color varies from green in daytime to red in glowing light. This change strengthens their color into a yellow-green, gray-green or blue-green to an orange-red, brown-red or purple-red. The best Alexandrite has been derived in Russia, though most of it has been mined out. Pearls are considered the oldest among all gems and are these are the gems produced by a living creature. They were formerly created when a grain of sand found its way into an oyster. The oyster reacted by absorbing nacre and building up layers, which forms the pearl. Practically, all pearls nowadays are cultured, the method of preserving oyster beads where tiny beads have been included into each oyster for harvesting. In facts, Pearls have loved by most Queens and Kings for more than 6000 years and have been portrayed in the tinted images of famous people like Cleopatra and Queen Elizabeth. Moreover, the quality of a pearl pendants is identified by it its patina, skin tone, shade, volume and nature. Pearls are typically available in a creamy off-white with a red or rose-pink tinge, high-luster and have few blemishes. Black Tahitian pearls and South Sea pearls and are remarkably some of the premium and most exclusive Pearls. Sources: Australia, China, Indian Ocean, Japan, Mexico, Persian Gulf, Red Sea, Tahiti, and USA. Ruby can be available in various shades including orange-red, purple red or brown- red. Once it turns into pink color, it is also considered as a pink sapphire. Most Rubies are heat treated as an element of the fashioning method in order to develop their shade as well as, their appearance. Their ultimate color is often called as “blood red”. Rubies have taken a history of dominance, often connected with royalty, control and prosperity. It is also a useful stone to discover impede toxin, illnesses and disaster, and provide the wearer invulnerability.Today, Ruby is connected with passion. Sources: Africa, Australia, Burma, India, Thailand, and USA. Peridot is an element of the olivine set. It is a clear crystal and has several shades of yellow-green to green-yellow and even brown-green. 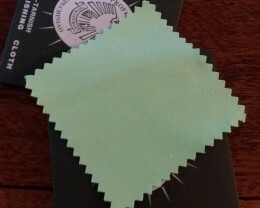 Most of the material seen in stores nowadays is in the more light yellow or green color. 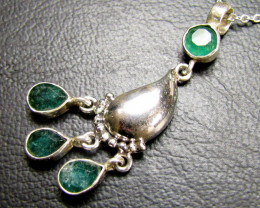 Fine quality of crystals with only quite few inclusions are in emerald green is quite exceptional. Egyptians considered Peridot as the stone of the sun. 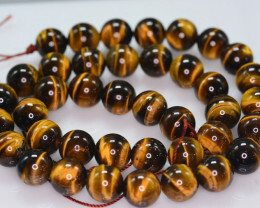 It is believed that this stone conveys good destiny, harmony, achievement, good health, and security. In addition to, Peridot was believed to attract love and pacify anger, relieve nerves and heal negative emotions. Sources: Australia, Brazil, Burma, China, Egypt, Mexico, Norway, and USA. Carnelian is one of those several varieties of microcrystalline quartz or Chalcedony. The term Chalcedony is originated from the term of the earliest Greek town “Chalkedon”. It is also a combination of the term “Sard”, a Greek word, which means red-brown, and “Onyx”, another Greek word, which means claw or finger nail. In addition to, it is an agate that has banded of colors such as red-brown or brown-red alternating with black or white. Most Sardonyx material seen in the jewelry was engraved as a cameo or intaglio. It was also considered that this stone lend the gift of articulacy, increase strength, stamina, and fortitude. Sources: Africa, Australia, Brazil, China, Czechoslovakia, India, Germany, Mexico, Pakistan, Russia, and USA. Sapphire is an ideal gift or present as Sapphire pendant jewelry was also said to provide its wearer harmony, tranquility and amiability, repress wicked, and impure thoughts. Sources: Australia, Brazil, Burma, India, Sri Lanka, Tanzania, Thailand, and USA. Australian opal or Ethiopian opal is considered birthstone for October. Sources: Australia, Brazil, Czechoslovakia, Honduras, Indonesia, Mexico, Poland, Tanzania, and USA. Sources: Afghanistan, Brazil, India, Madagascar, Mozambique, Nigeria, Russia, and USA. Topaz is also considered as a mineral that occurs physically in different colors. Precious Topaz is available in gold-yellow, Blue Topaz is in blue shades as the name signifies whatever this color is achieved by means of irradiation, meanwhile Pink Topaz is in light tones of purple red and red, as well. Sources: Australia, Brazil, Burma, Nigeria, Pakistan, Russia, Sri Lanka, and USA. In fact, the term “Citrine” was most likely originated from the word citrus or citron, which means lemon. There is quite associated to citrine. Same with other gemstones, it has been also said that this stone supports well-improved health, particularly on the heart, kidney, liver, digestive tract, and muscles. Sources: Brazil, Canada, India, Japan, Mexico, Russia, South Africa, and USA. Zircon is a stone that appears in various colors such as neutral, green, blue, yellow, red, brown, orange, and occasionally lavender. It also has a high-dispersion and double refraction lending to its luminous and vivacious appearance. In fact, the neutral variety has been available in the market as diamond. Though, Zircon is one of the best usual imitators of diamonds, it is a jewelry that can be easily wear and a fragile gemstone, as well. However, this stone is still highly-valued because of its striking intensity. Today, Zircon is often mistakenly linked with cubic zirconia, which is an imitated laboratory diamond. Moreover, Blue zircon was used often used during the Victorian in the late 1800s, and was been part of the market since 1920. Also, the greater part of this material has been heat treated to develop their color. During the middle ages, zircon was assumed to convey success, riches, admiration and wisdom. Sources: Australia, Brazil, Burma, Cambodia, France, Kampuchea, Sri Lanka, Tanzania, and Thailand. 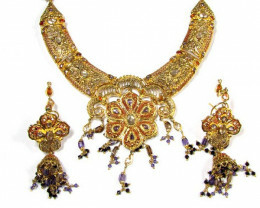 It has been used for various ornaments and decorations all through the history and across the cultures. Turquoise occurs typically in blue and green-blue tones. It is often shows in shady splotches and veins of matrix. In fact, the most pricey and best quality Turquoise is so-called “Persian Turquoise”. In addition to, “Persian Turquoise has a strong, and even medium blue tone, low porosity, high-polish and no noticeable medium. Turquoise has been thought to convey success, good destiny and success to its user. During ancient times, it was also believed that this stone transforms its colors as a warning of forthcoming risk or disease. Sources: Armenia, Australia, Brazil, Chile, China, Egypt, Iran, Kazakhstan, Mexico, and USA. Most of the Blue topaz material has ever been discovered in the nature and it is usually mined in neutral. It is also originated from huge crystals with thousands of carats each. Also, the Smithsonian was given the biggest faceted well-known stone during 1988, a gold- yellow Topaz consisting 22,892.5 carats. 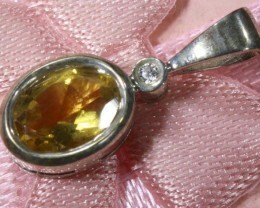 Topaz is considered as the stone with the widest collection of healing capabilities. It is said to be helpful to treat asthma, insomnia, improve eyesight, and prevent hemorrhages. 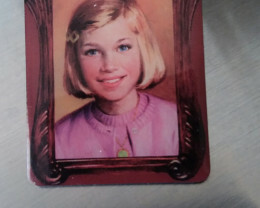 In addition to, it has also been said to boost up the power of an individual, as well. Lapis Lazuli is basically a stone consisted of calcite, lazurite, and pyrite. It may also enclose with traces of other stones such as augite, hauynite, sodalite, diopside, mica, and hornblende. It can be semi-transparent though it is most often solid. Deep blue Lapis Lazuli with the existence of pyrite is measured as precious stone whereas the existence of calcite often diminishes its worth. Also, it also saturated with wax to get better its form, and a lot of the dark material has been tinted to give color and consistency, as well. It has been believed that using Lapis Lazuli can assist one to have better comprehension as well as, develop owns perspective. Lapis Lazuli has been exist for a long time and was highly-appreciated in both Egypt and Babylonia, and often worn by monarchs. Sources: Afghanistan, Argentina, Canada, Chile, Russia, USA.